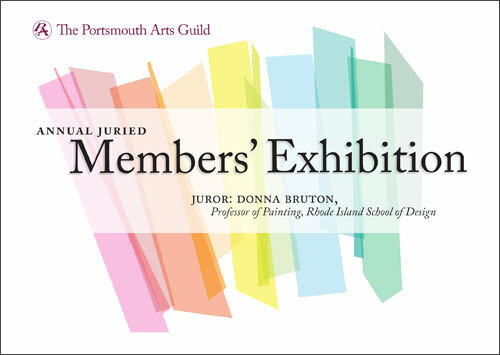 We recently designed this postcard for the Portsmouth Arts Guild in Portsmouth, RI. Promotional materials for multiple artists with no particular aesthetic connection can be tricky; trying to combine images from the various artists can lead to visual chaos. We’ve skipped that issue here by using simple graphics and elegant typography in lieu of images. The sections of color here reference the gallery partitions on which the work is displayed.